Another year, another set of contribution limits for payroll professionals to memorize. 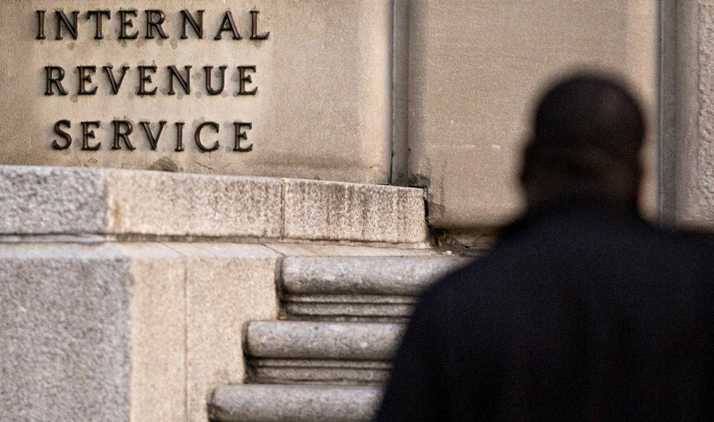 Earlier this month, the IRS published new limits for a number of pretax employee benefits. Because certain benefits like flexible savings accounts (FSAs) and commuter plans are funded on a pretax basis (meaning deductions are taken from employee paychecks before taxes like social security), the government caps how much employees can contribute to them. Many of these limits are subject to an annual review to account for changes in the cost of living and other factors. The list below represents some of the updates most relevant to HR professionals. Payroll and finance teams will want to consult IRS publications IR-2017-178 and IR-2017-177 for a full listing of 2018 changes. All changes will go into effect on January 1. 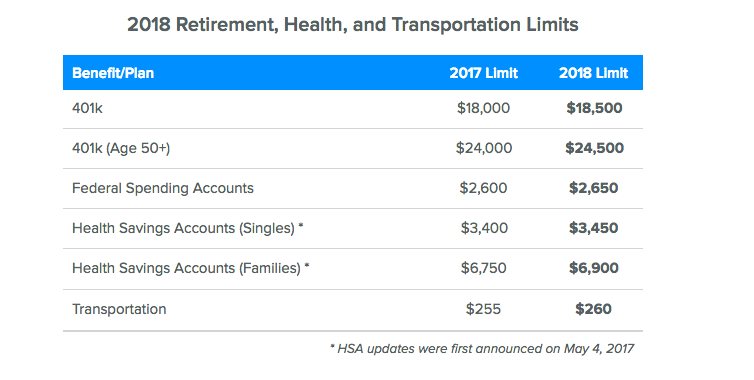 Note that the cap for HSA “catch-up” contributions, which enables individuals age 55 or older to contribute more, will not change in the next year. That $1,000 limit is not tied to inflation or the cost of living, and it requires legislative action to update. HR teams who work with an outside payroll provider or professional employer organization should reach out to their respective contacts to confirm that 2018 limits are in place.